We have gained the reputation of a trustworthy and reliable Corfu rent a car company, Corfu airport car hire with no risk, No excess and NO credit card!! Our friendly and experienced staff will make your holidays easy, comfortable and pleasant in Corfu Airport International, Corfu Port Terminal, Corfu Town, Gouvia Marina, Hotels, Apartments, Villa or anywhere in Corfu Island Greece.land!! We are car hire in Corfu and doing this for more than 40 years and we love it. We have learned a lot and never stop learning, we continue to innovate, constantly offering new services for car hire in Corfu Island. Best car hire corfu. Corfu car hire Fair Deal is since 1972, with the best value offers DEALS that means Fair Deals. We are one of the largest corfu car rental companies at Corfu Airport Greece, car hire Corfu airport with us!! and explore our beautiful Island in Greece (Corfu, Kerkyra Island). Corfu Greece car hire, rent a car Corfu Fair Deal offers a wide range of Corfu cars at great best prices value for money with no hidden extras, no risk full insurance, no excess. Whether you are looking for an economy corfu car hire, rent a car Corfu compact car rental, Automatic transmission Corfu car hire, mid-size Corfu car rental, SUV Corfu car rental or luxury Corfu car hire, Jeep jimny Corfu car hire, mini bus Corfu car rental, 7 seater mini bus Corfu car hire , 9 seater mini bus Corfu car hire, vans. Just click at corfucarsrental.com, we encourage you to find a lower price with the same car hire brand, total vehicle insurance for (protection all over the car and undergarriage plus roof*). Find more details and complete the price guarantee online form here. Our goal is in Corfu car hire corfucarsrental.com the absolute satisfaction of our customers. Let Corfu car hire Fair Deal help your holiday plans go exactly as you have planned them with a Corfu Airport International Terminal, Corfu Port terminal, car hire in Corfu Town or anywhere in Corfu with Fair Deal car hire in Corfu and get low prices, Best Corfu car rental rates. So, Corfu car hire with Fair Deal, Corfu BEST car rentals and cruise around Corfu island. There's nothing quide like exploring a new destination by car.. Hiring a car is an ever - popular way to travel, both for business and leisure. But with so many different companies to choose from it can be HARD to known which one is right for YOU. That's where Fair Deal corfu car rental comes in. We've helped thousand of customers (friends) every year find the perfect car for their holidays, whether it's an SUV, a compact car, a stationwagon, a 7 seater mini bus or enything else in between. Just book online at corfucarsrental.com the car of your choice with three very easy steps!!! Our mission is to provide our customer with smooth car rerntal jurney from the first click mouse to the last click of the keys. When you arrive at the Corfu Airport International, Corfu Port, Corfu Town car rental location OR Villa, Apartments OR anywhere in Corfu Island we’ll have your preprinted agreement ready. Just the way you like it, It doesn’t get any easier. 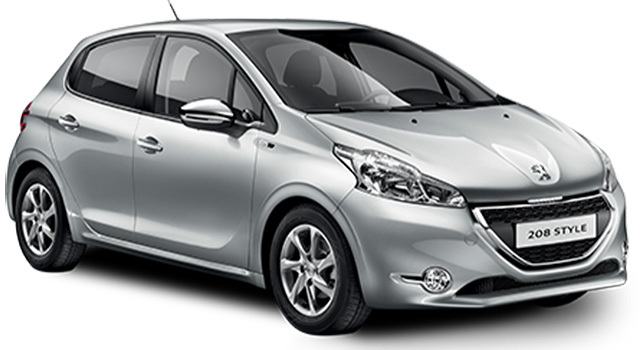 Car hire in Corfu with Fair Deal Corfu rent a car in Corfu and explore around Corfu Island. We deliver cars all over Corfu Island, Sidari, Roda, Arillas, Gimari, Agios spiridon mare blue, Perama, Liapades, Pelekas, Kommeno, Gouvia, Gouvia marina, Ipsos, Airport, Barbati, Ermones, Nissaki, Acharavi, Kassiopi, Paleokastritsa, Ponticonisi, Benitses, Dassia, San Stefanos, Agios Stefanos, Agios marcos, Ipsos, Kalami, Agios Gordios, Perithia, Korakiana, Kontokali, Messongi, Agni, Corfu Port terminal, Corfu Airport and even Corfu Town best car hire in Corfu. Thanks, Fair Deal, for fantastic service, and value. Fantastic brand new vehicle. Delivery and drop off at airport could not have been easier. Will use you again, definitely!!! A nice lady has waited for us at the Airport and took us to the headquarter. There we have got a car. Everything was professional and quick. No problem with giving back a car. No credit card need. Thank you FAIR DEAL!!! NO hidden extras on price. NO hidden excess on insurance. NO open credit card taken. NO commission for credit cards payment. All taxes included (V.A.T, local taxes). 1st and 2nd driver FREE 3rd charged per day. FREE 24 hours road assistance. FREE change of car in case of breakdown. FREE Corfu Island, Corfu town city map. FREE Drop Off corfu airport. Option of driving car out of Corfu island. Delivery & Drop off anywhere in Corfu Island. Online booking WITH OUT CREDIT CARD. Hiring a car is an ever-popular way to travel, both for business and leisure. But with so many different companies to choose from it can be hard to know which one is right for you. That's where Fair Deal comes in. We've helped thousand of customers (friends) find the perfect car for their holiday, whether it's an SUV , a compact car, a Family car, or anything else in between. Our mission is to provide our customers with a smooth car rental journey from the first click of the mouse to the last click of the keys. Subscribe to our mailing list to receive special prices before Season starts.